How have you guys been? I've been okay, just busy with exams. Which is why I haven't posted much of anything this week. But they're finished now and I just have to wait for my marks :|. Ha ha. Also I think I'm coming down with a cold....who gets sick when the weather is now starting to get nice. ONLY ME! 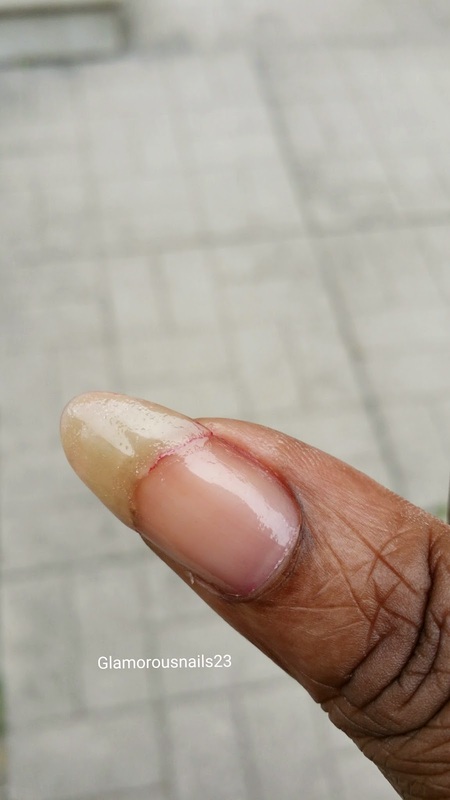 Anyways, recently one of my nails on my right hand (not the hand that I swatch with) decided that it was going to get disrespectful and start to break while I was trying to prevent my daughter from falling face first on the ground. It was so painful and it tore so deep that even if I wanted too I could just break it off or clip it. So I bandaged my nail (literally) to prevent it from breaking anymore and was trying to figure out a way to temporarily fix it. I've tried the teabag method a while back but it just didn't work out for me. 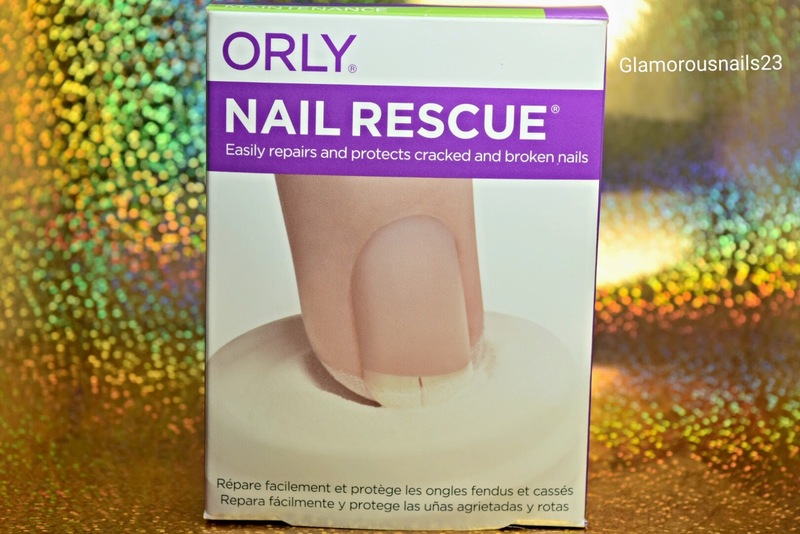 After doing some searches on google I came across Orly Nail Rescue. 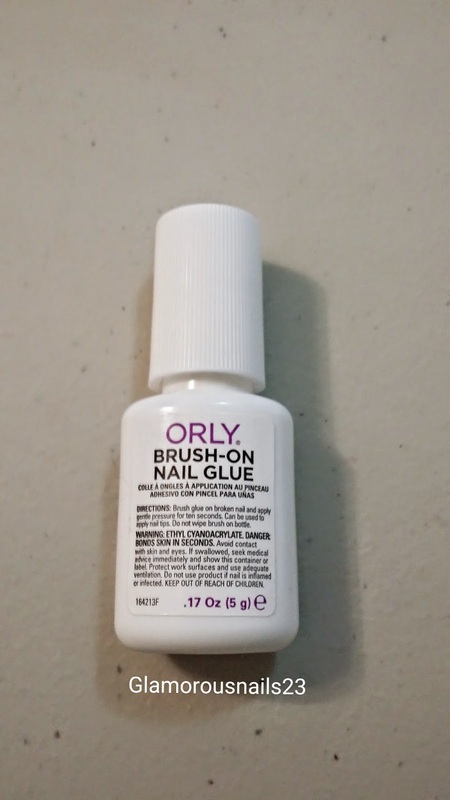 After reading a few reviews I figured that I might as well give it a try because with my luck if I waited too long to fix it, the nail would snag and pull and it just wouldn't be fun! The Kit comes with three simple tools. 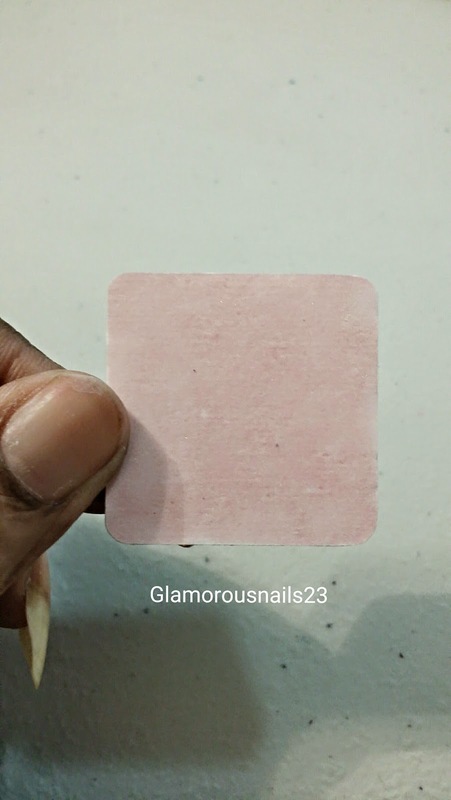 While your nail is still wet dip the entire nail into the powder and you'll want to make sure that the nail has been covered evenly. You can gently dust off any excess powder. I got a little bit excited and forgot to take a picture while my nail was in the powder but you all pretty much get the point. Buff you're nail to even out the surface. It's a double sided buffer. You don't have to use this one that comes in the kit. You can use your own. In some of the reviews that I read people were having trouble using this buffer, but it worked fine for me. Also excuse my thumb. I also broke this one the week before and just couldn't save it! 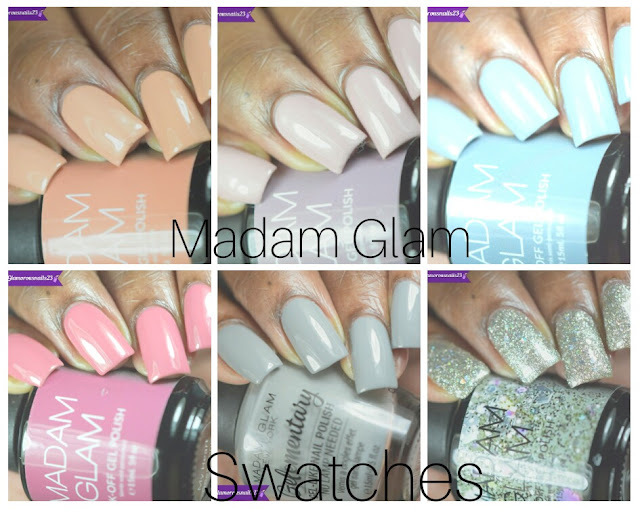 Once you've finished those steps you can apply your base coat do your nails as normal. 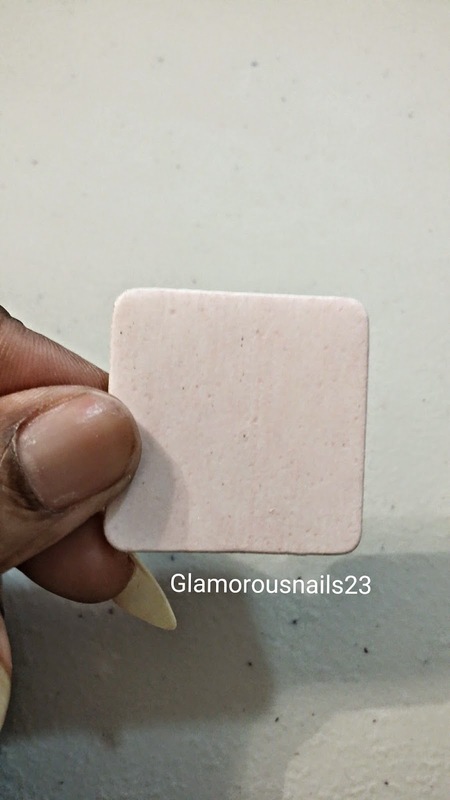 This is what the nail looked like once I did all that buffing and applied my base coat. Not sure why I have those little bubbles that formed. Maybe I needed to buff a little bit more. 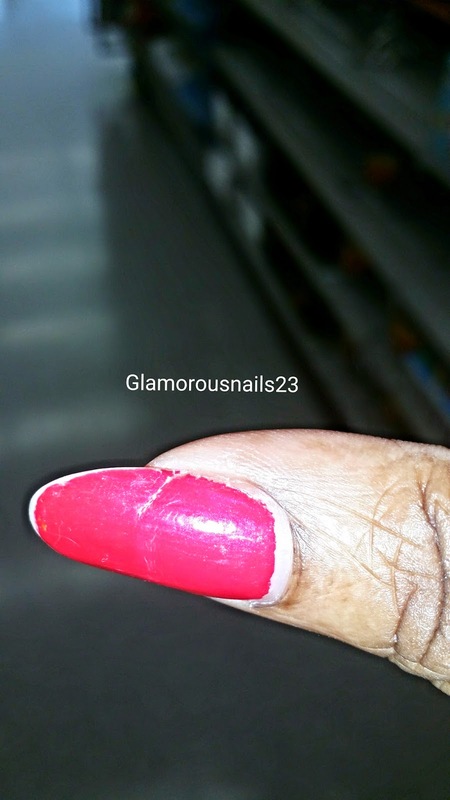 But I was able to save my nail until it grows out at least! Yay me!! The nail feels just as strong as the rest of my nails. So I'm happy. 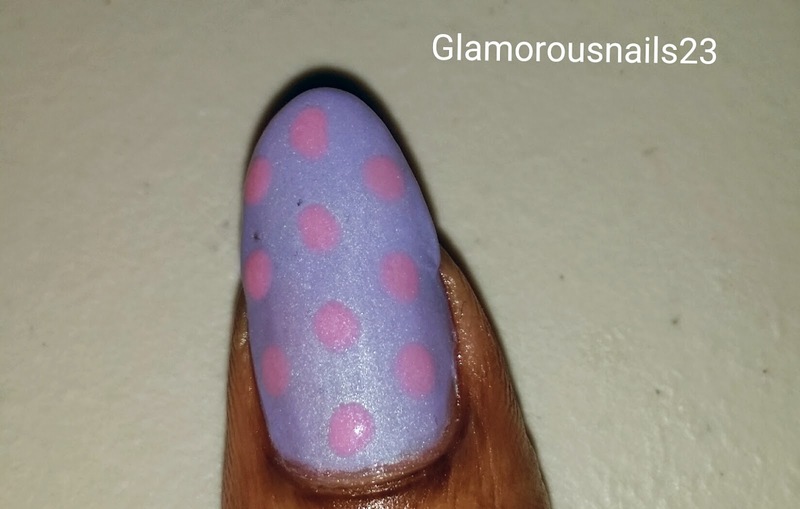 Here's what the nail looks like with polish on. 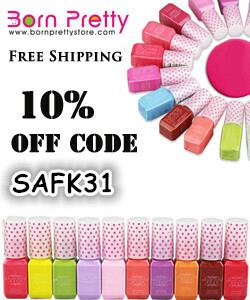 I would definitely recommend this as something that everyone should have in their nail kit. 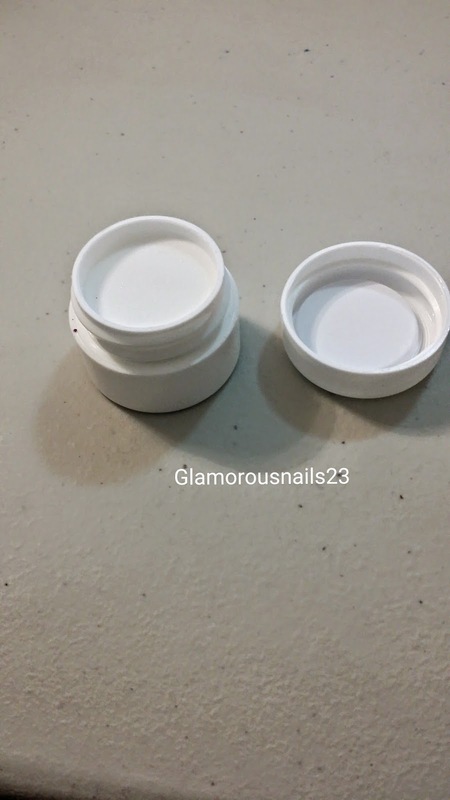 The products are the perfect size to travel with and the steps are easy and quick. 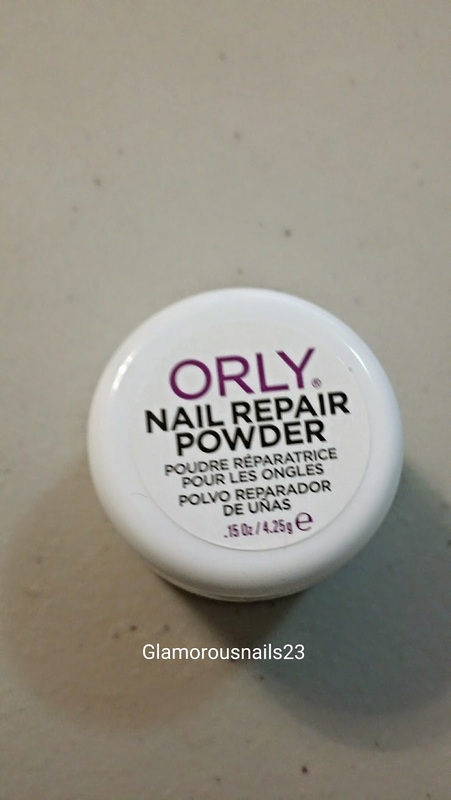 They do recommend that when you are removing nail polish that you use a non-acetone polish remover because then it won't remove the glue and the powder. Have you ever used this product? How did it work out for you? I'm a way too OCD, if a nail breaks, I file them ALL FUCKERS DOWN. Isn't it. I figured why not give it a try. LOL. Awesome and you're welcome!! I know. Some people will trim ALL their nails down but I'm that person that's like the show must go on with or without you nail! Especially after I was able to get them to the length that I want. I hate when this happens. Oooo I've never tried this method with super glue before.